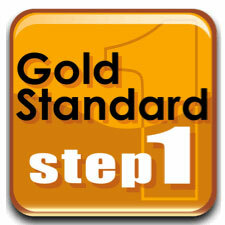 If you like what you here, you can purchase the entire Gold Standard Step 1 MP3 audio USMLE review for your iPhone, iPod, or computer here. 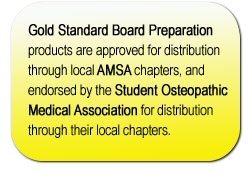 Let’s start our USMLE Review with Anatomy from the Gold Standard USMLE Step 1 Audio Review program. Diffusing capacity is affected by the diffusion properties of the respiratory system such as surface area of the lungs and diffusion distance. In addition to this, diffusing capacity is also affected by two factors relating to the hemoglobin in the pulmonary capillaries. What are they? The amount of hemoglobin present and the rate of the chemical reaction between hemoglobin and gas. Clinically, a dilute concentration of what gas is used to measure the diffusing capacity of the lungs? The two word answer begins with CM. Why is carbon monoxide used to measure diffusing capacity? Hemoglobin has a high affinity for carbon monoxide. So CO tension in the pulmonary capillaries is basically zero. Once the diffusing capacity of the lungs for CO is known, what can be calculated from this value? Student doctor, please pause the tape and summarize diffusing capacity. The diffusing capacity of the lungs is the volume of gas that is transferred each minute across the blood gas barrier for each mm Hg partial pressure difference. Diffusing capacity is affected by the diffusion properties of the respiratory system such as surface area of the lungs and diffusion distance. In addition to this, diffusing capacity is also affected by the amount of hemoglobin present in the pulmonary capillaries and the rate of the chemical reaction between hemoglobin and gas. Clinically, a dilute concentration of carbon monoxide is used to measure the diffusing capacity of the lungs. CO is used because hemoglobin has a high affinity for carbon monoxide so CO tension in the pulmonary capillaries is basically zero. The diffusing capacity of the lungs for oxygen can be calculated once the diffusing capacity for CO is known. What is the passage of fluid through the blood vessels or the lymphatic system called? It starts with a P.
Some gases achieve equilibration between alveolar gas and capillary blood and some do not. When the equilibrium is reached, what kind of gas exchange has occurred? Diffusion limited or perfusion limited? Perfusion limited gas exchange occurs when equilibrium is reached. If a gas is perfusion limited, how can exchange of the gas in the lungs be increased? By increasing pulmonary blood flow. A diffusion limited gas exchange occurs when gas tension equilibrium is not achieved. If a gas is diffusion limited, how can gas uptake be increased? By increasing the diffusion rate. Under resting conditions, is oxygen a perfusion limited or diffusion limited gas? Oxygen is normally perfusion limited. Under hypoxic conditions, oxygen exchange is diffusion limited. One gas never reaches equilibrium in the lungs and is always diffusion limited. It’s the gas that is used to measure diffusing capacity. What is it? 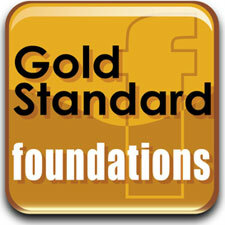 Is the anesthetic gas, nitrous oxide, perfusion or diffusion limited? Nitrous oxide is perfusion limited. In general, are the inner gases perfusion or diffusion limited? Student doctor, please pause the tape and summarize what we’ve discussed about perfusion and diffusion limited gases. The passage of fluid through the blood vessels or lymphatic system is called perfusion. Some gases achieve equilibration between alveolar gas and capillary blood and some do not. Perfusion limited gas exchange occurs when equilibrium is reached. If a gas is perfusion limited, exchange of the gas in the lungs can be increased by increasing pulmonary blood flow. A diffusion limited gas exchange occurs when gas tension equilibrium is not reached. If a gas is diffusion limited, gas uptake can be increased by increasing the diffusion rate. Oxygen is normally perfusion limited. Under hypoxic conditions, oxygen is diffusion limited. Carbon monoxide never reaches equilibrium in the lungs and is always diffusion limited. Nitrous oxide is perfusion limited. In general, the inert gasses are perfusion limited. 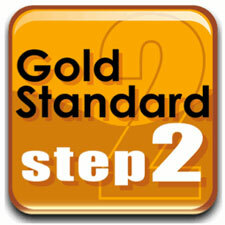 ****END OF TRANSCRIPTION**** Want More USMLE Step 1 Review Facts?